The government will invest £4.2 billion in NHS technology over the next five years, health secretary Jeremy Hunt has said. 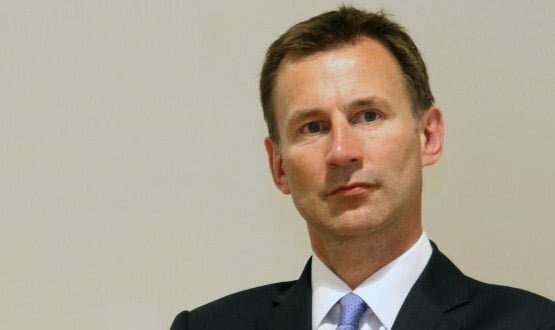 The money will be invested in advancing Hunt’s ‘paperless’ ambitions, first outlined in a speech to the Policy Exchange think-tank almost exactly three years ago. Money will also be invested in newer pledges to encourage patients to use online services and apps, as outlined in the digital inclusion report commissioned from IT entrepreneur Martha Lane-Fox, and in cyber security. In a statement Hunt said: “The NHS has the opportunity to become a world leader in introducing new technology – which means better patient outcomes and a revolution in healthcare at home. Hunt has been a consistent supporter of the use of technology in the NHS. In January 2013, he said he wanted to see a ‘paperless’ NHS by 2018. This ambition was refined by the ‘Personalised Health and Care 2020’ framework that was issued by the National Information Board at the end of 2014, to support the ‘Five Year Forward View’ plan to close a £30 billion gap between NHS funding and demand by 2020-21. The NHS is now supposed to be paperless at the point of care by 2018, and to be using fully digital, interoperable health and social care records by 2020. The Treasury Spending Review, which committed the government to finding £8 billion towards the Forward View, some of it frontloaded, indicated that £1 billion would be spent on technology over the five years of this Parliament. Most of this was flagged for achieving the paperless ambitions. Details of how the funding will be used are still being worked out, but early figures indicate the government now expects to spend slightly more in this area – £1.8 billion. Around £1 billion is earmarked for cyber security and sorting out the NHS’ long running problems with information governance and consent, and around £750 million to support the technology required for out-of-hospital and integrated care; both of which are key components of the Forward View. Another chunk of money, around £400 million, is destined for enabling the NHS to become digital, including a new website – NHS.uk – apps, telehealth and free wi-fi across the NHS. This was a headline-catching initiative announced by Hunt just before Christmas, again on the back of the Lane-Fox report, that has been given a mixed reception by IT experts. Another £250 million will be spent on data for outcomes and research. Hunt said the investment will help the NHS hit a new target for 25% of all patients with long term conditions, such as diabetes and cancer, to be able to monitor their health remotely and upload and send real time data to medical professionals by 2020. It will also support previously announced patient-facing initiatives, such as the target to have 10% of patients accessing GP services online and via apps by March 2017, and the ‘click and collect’ electronic prescriptions service that is due to supersede EPS R1 and R2. A statement from the Department of Health says the government wants to learn the lessons from previous technology projects to ensure that IT solutions are "useable and beneficial to the clinical community." It has asked US author and IT expert Professor Bob Wachter to review the implementation of technology in the NHS, and his review team is due to report back in June. The terms of reference for Wachter's review were released today. Andy Williams, chief executive of the Health and Social Care Information Centre, said: “Over the next few years HSCIC will be focussing on delivering technological solutions that enable better care and that free up time and resources to allow frontline workers to focus on their patients. The government has also lined up a number of charities to support the digital developments. Alzheimer's Society chief executive Jeremy Hughes said: "this investment has huge potential to help our health and social care system deliver care that is tailored to the individual. But shadow health minister Justin Madders said it was unclear how much of the floated money was new, since Hunt was clearly “re-hashing” a number of old announcements. This story was updated at 3pm on Monday 8 February. 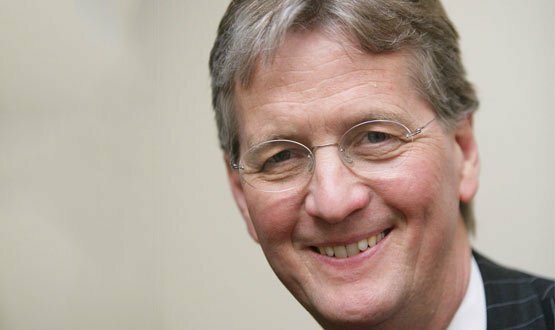 Kingsley Manning has resigned as chair of the Health and Social Care Information Centre after three years in the role.